After nineteen years M. Night Shyamalan has completed the story he started with Unbreakable. The Sixth Sense director teased fans with a surprised at the end of Split, which set up a face off between James McAvoy’s The Horde (inside Kevin Wendall Crumb) and Bruce Willis’ David Dunn. Now, with Glass, fans get just that. Glass follows the events of Split, with McAvoy’s character struggling to manage his 24 different personalities and feed “The Beast,” Another set of teenage girls have been kidnapped and Dunn is trying to locate the serial killer. Meanwhile, Dr. Ellie Staple (Sarah Paulson), who seeks to treat people with a particular delusion of grandeur that makes them believe they are superpowered, intervenes to bring the two under her care. Once we add in the titular character, Mr. Glass (Samuel L. Jackson), things get tense and interesting — perfect for a Shyamalan film. 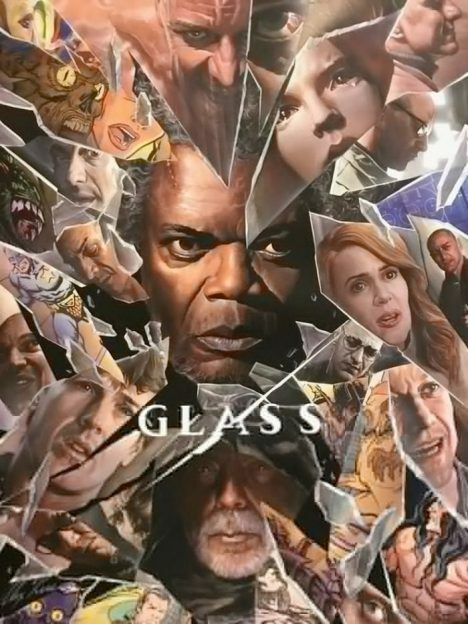 Glass; however, is more of a sequel to Unbreakable, than a “great” conclusion to Split. Characters from the earlier films arrive as well: Charlayne Woodard and Spencer Treat Clark as, respectively, Elijah’s mother and David’s son; Anya Taylor-Joy, who played Kevin’s lone survivor from Split. 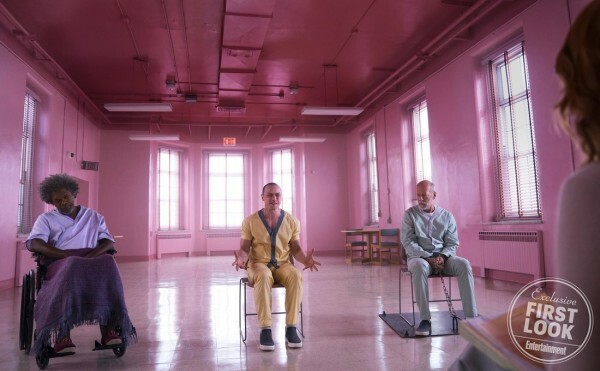 Glass suffers from the Shyamalan twist syndrome: you know they are coming. All of the principal actors are great, with McAvoy delivering a spectacular performance, but the film is always teetering on the edge of “What’s next?,” knowing that it’s NOT going to be the way it seems. Mr. Glass plays Don King, egging on a David vs. Beast showdown; Dr. Staple creates doubt and confuson; the other characters are torn between their heart and their head as the final act comes. The ending is just too long. There are too many scenes of people “getting it” or Glass explaining it. It’s a great trilogy, but now suffers from a convoluted wrap up. It’s all an interesting take, but too muddled in many ways. This was a long time coming for Unbreakable fans, but it just can’t live up to the expectations. By the way, in case you are expecting an after credits scene, a hint that there will be more…you will be disappointed: there is NONE. When it ends…it ends.